Age-old saying would say that "Three's a Crowd." However, I would like to disagree as I am actually a part of not only one but a number of trios. Take for example, my favorite work colleagues K and B who, due to our common love for trying out new food spots, became two of my closest friends through time. Then, of course, there's S and D. Despite graduating from the same high school, our friendship began through blogging and continues to grow as we occasionally meet up to catch up on each other's lives. Lastly, my trio with C and E. Though we rarely get to see each other as often as we're all hoping we could (this actually is becoming a joke that we get to meet up only once a quarter), every single dinner spent with them is still the same. Full of stories, laughter and genuine friendship. 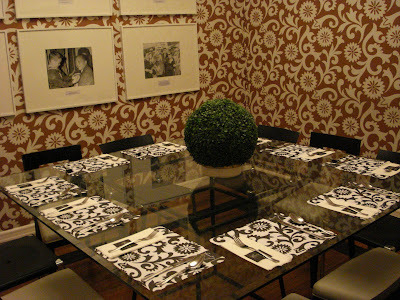 Last night, our dinner was set for us to try out Romulo's Cafe in Quezon City. Usually, it is just the three of us meeting up for dinner but this time, we agreed to bring our respective special someones for them to also meet one another. I've been doing my research on Romulo's Cafe and was initially a bit confused as it had a mix of good and bad reviews. Some says the food was not worth the price, others would say there's nothing extra ordinary while still a handful would rave about it. C made reservations for a table for six at exactly 8pm. It was a good thing, traffic was mild last night that Paul and I were able to make it to the restaurant a couple of minutes past 8. After giving the receptionist C's name, she led me to one of their dining rooms where I saw C and her boyfriend K scanning the menu. 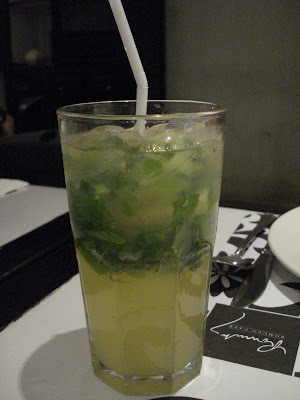 While waiting for E and her boyfriend S, we ordered two different mocktails to try. Following C's lead, my choice was the Cool as Cucumber (Php. 95) drink which had lime, basil and cucumber. It was very refreshing! 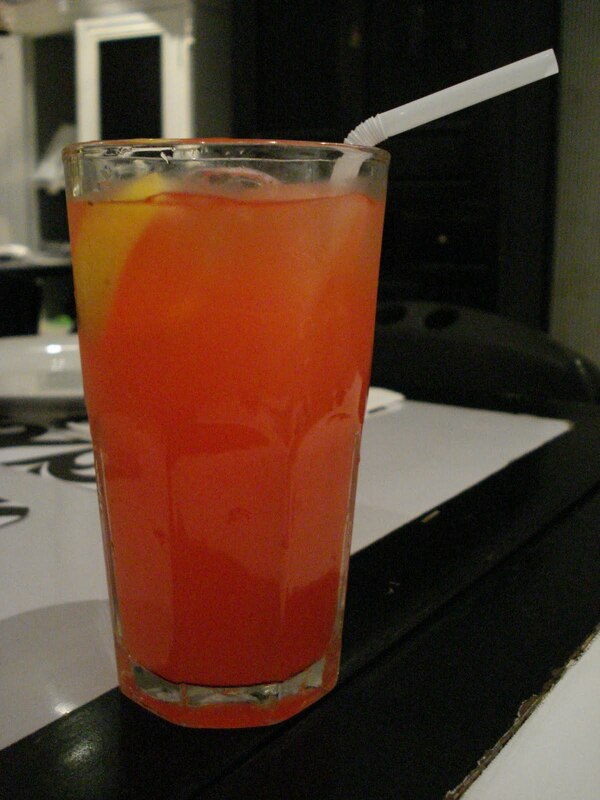 Paul, on the other hand, got the Sunshine Lemonade (Php. 95) which was a mix of strawberry juice and lemonade. He took one sip and flashed the thumbs up sign. Unfortunately, E and S were still stuck in traffic therefore while waiting, we ordered two appetizers to munch on. C chose the Cheese with Vigan Longganisa Dumplings (Php. 135) while I suggested the Pinoy Nachos (Php. 85). An order of the Cheese with Vigan Longganisa Dumplings is good for 3-4pax. It comes with 5 bite-sized dumplings but do not under estimate its size! 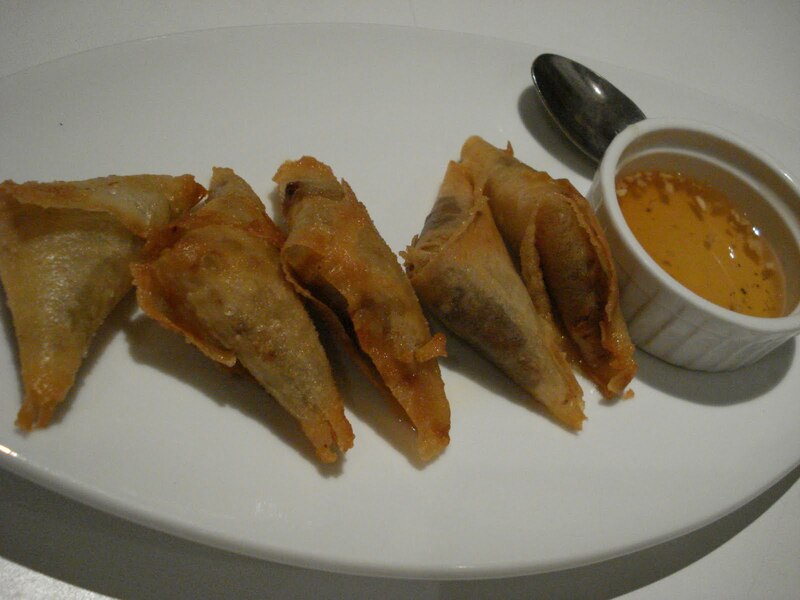 Inside is a mix of strong flavors of salty cheese and mildly spicy longganisa. It's so good that I am putting this on my list to try again on my next visit. 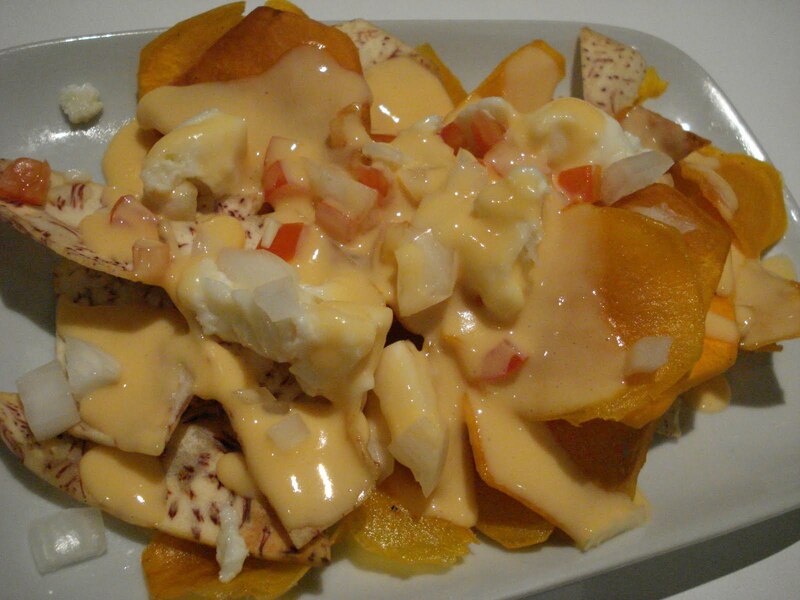 The Pinoy Nachos was just ok. I chose this because I love Taro Chips. However, I feel that the kesong puti, melted keso de bola and tomatoes did not blend well with the bland kamote and taro chips. Nothing spectacular here, wish we got more of the dumplings instead. Finally, E and S walked into the room and after a couple of introductions for the boys and kisses exchanged between the girls, we all got down to serious business -- ordering our main entrees. 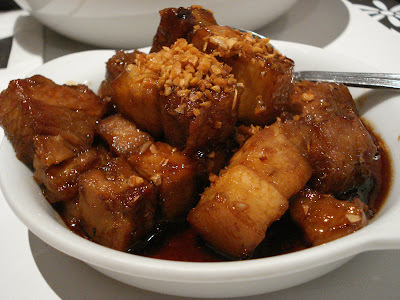 C also did her research and was intrigued by the Honey Garlic Pork Spareribs (Php. 240) which was mentioned in a couple of blogs. We got that together with the Lengua (Php. 260), Greg's Karekare (Php. 385) and the Baby Pusit (Squid) in Garlic (Php. 220). Service was fast and soon our dishes were served. I noticed though that the serving size was not consistent. The Pork Spareribs and the Baby Pusit were served in a small round platter perhaps good for only 3-4 pax. The Karekare had a generous serving while the Lengua was just right. Be sure to ask your serving regarding the specific serving size especially when dining with a big group. My friend C made the right choice in choosing the Honey Garlic Pork Spareribs. I love the sweet sticky soy sauce that covers the not-so-lean pork cubes. This was our only complain, this dish is not for the faint of heart, with fat that is about half an inch thick, you basically just get a small piece of lean meat in every bite. 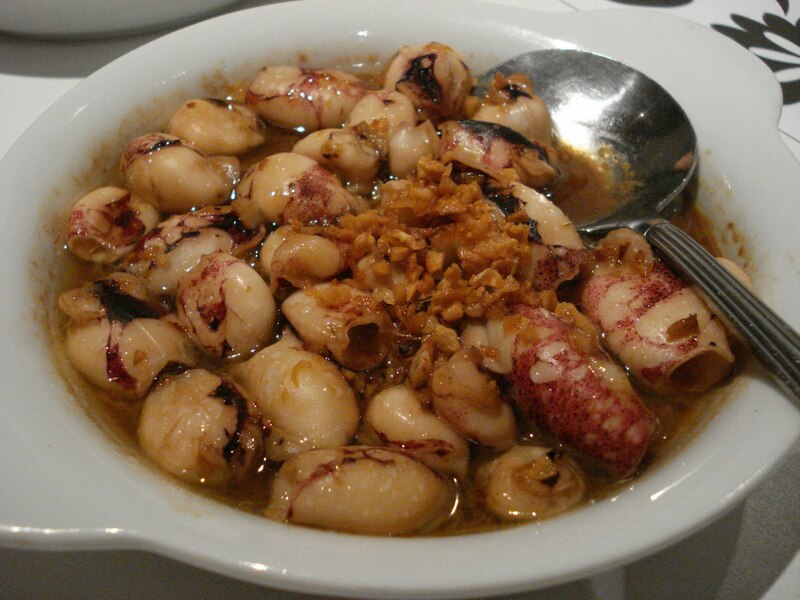 On the other hand, I liked the Baby Pusit in Garlic. Imagine Gambas but with tiny squid instead. I love adding a little garlic bits onto my rice. Sadly, I was disappointed with the Lengua. The ox tongue was sliced very very thinly that we could hardly enjoy the meat and instead felt like chewing into tiny thin strips of beef. No special lengua experience here. If you noticed, our dinner was truly a mix of hits and misses. We all loved the dumplings, baby pusit and the rice while the Lengua and Pinoy Nachos were disappointing. However, Greg's Kare-kare saved the day! Everyone had more than their daily rice intake because of this. I love how creamy the sauce was but it wasn't too indulging too. 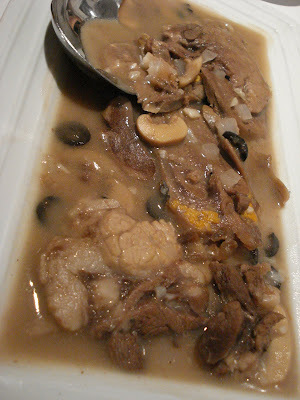 There was a generous serving of veggies and beef tripe while the bagoong was delicious! I had not one, not two but three servings of the kare-kare which, believe me, does not happen that often. 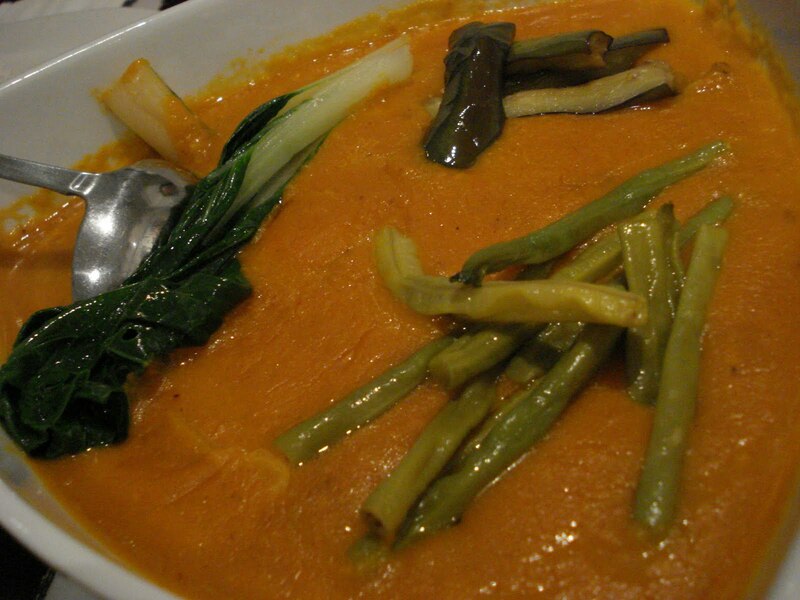 Paul, the Kare-kare fan, was having a ball! He obviously enjoyed this dish and couldn't stop raving about it even after we left the restaurant. Here's what I am gushing about -- Romulo Cafe's lovely interiors. I love the minimalist look where majority of the colors are either white, black or neutral (beige, cream, etc). Everywhere I look, I see beautiful decors, color patterns and even their washroom was a delightful sight. While the boys were busy bonding, the three of us went up to look at their private rooms. 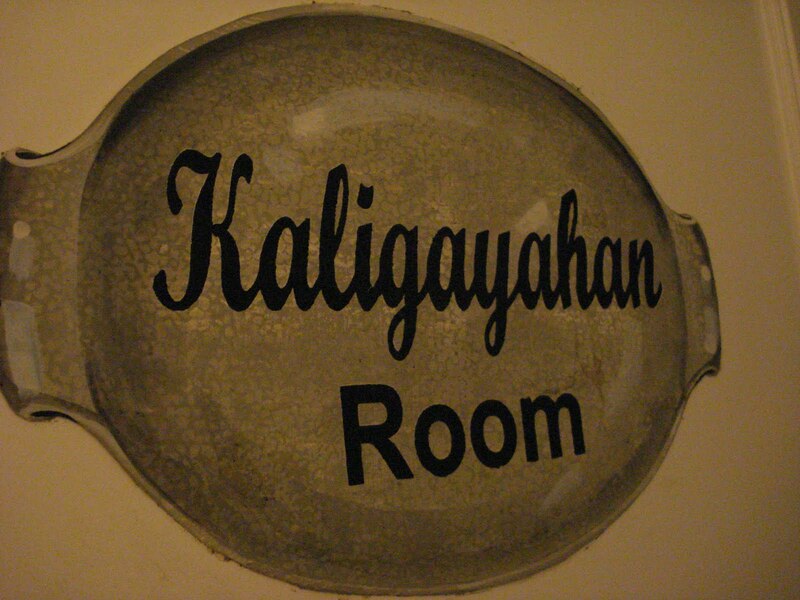 Each room has a name that signifies celebration and happiness. Take this room for example, it's called Kaligayahan Room which literally means Happiness Room. Inside is a big glass square table that can seat 12 guests. Inside the room, you'll also have your own serving counter. Other rooms can seat more guests. This is perfect for intimate birthday parties. It was yet another fun evening and I hope that we can find the time to meet up more often! 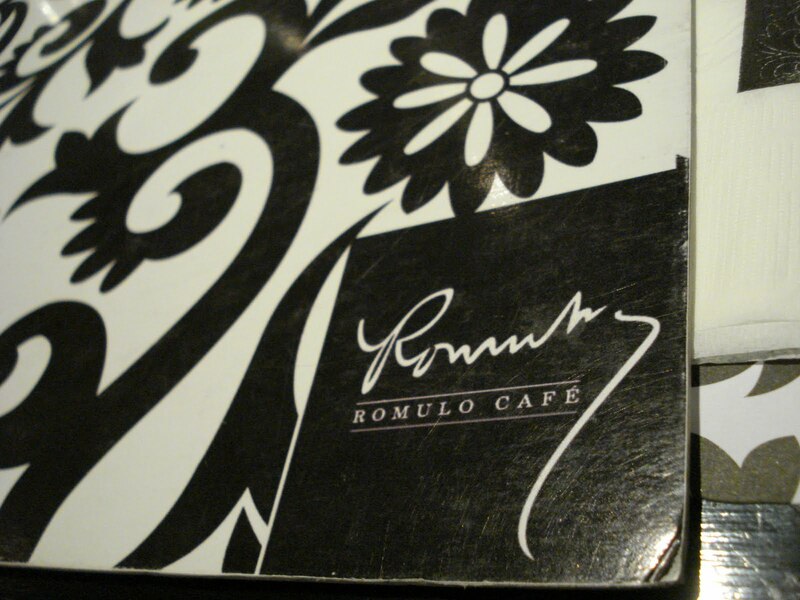 Romulo's Cafe is located at # 32 Sct. Lazcano cor Sct. Tuason streets in Quezon City. I highly recommend that you call them to reserve at 3327275. Driving directions (taken from C): Coming from E. Rodriguez, driving along Tomas Morato, take a left turn before Alfredo's and go straight. You'll see Romulo's Cafe at the corner.